The new 2019 commemorative bronze from LIFE is titled Safe in the Shepherd’s Arms. This bronze will serve as a beautiful reminder that the Lord is our Shepherd Who cares for His flock. We can always count ourselves safe in the arms of God, trusting that He will be the one to guide us each day. 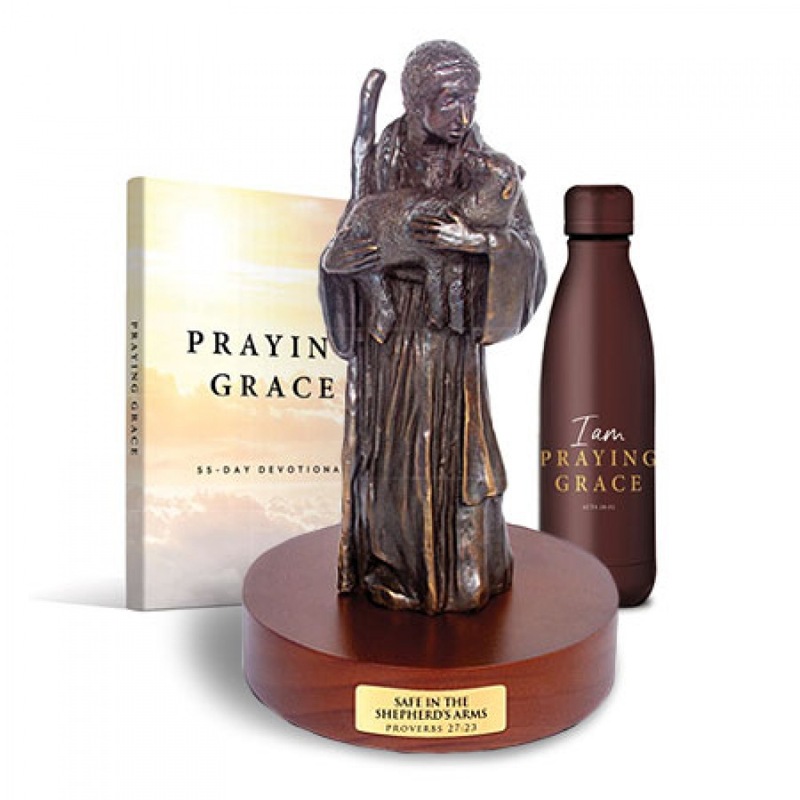 You will also receive the Praying Grace tumbler and the Praying Grace 55-day devotional.